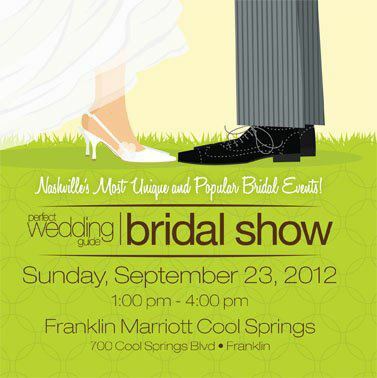 Nashville Perfect Wedding Guide Bridal Show… This Sunday! Posted in: Bridal Shows and Events. 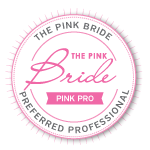 Tagged: Caprice Palmer, Enchanted Florist, Nashville Bridal Show, Nashville Weddings, Perfect Wedding Guide. Another busy weekend with another Nashville bridal show! This coming Sunday, September 23rd the Perfect Wedding Guide Show is taking place at the Franklin Marriott in Cool Springs from 1pm-4pm. Be sure to register online before the show for a buy-one, get-one admission ticket (saving you $10!) as the day will be jam-packed with tons of prizes and giveaways! If you have any questions about registration or show details, you can check out their website. As for Team Enchanted, we will be showing off another new design but you will just have to wait until show day to find out! Also, we will be scheduling follow-up appointments for couples stopping by the booth so have your calendar on hand. We can also take retainers to book your date, ensuring you have the most beautiful flowers on wedding day! Can’t wait to meet with all the happy couples and talk weddings. See you Sunday!